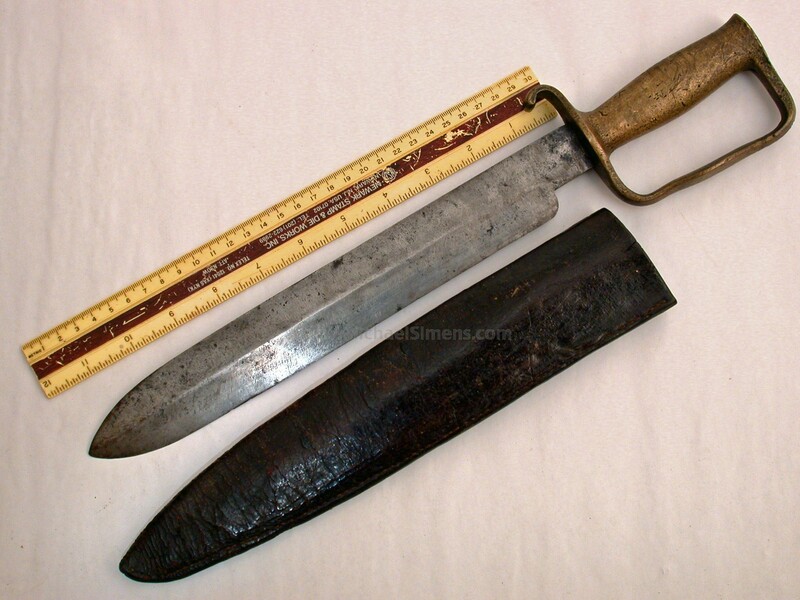 This is a wonderful Confederate Knife and probably arsenal made. In classic D-guard construction with one huge exception. The hilt is entirely cast in brass. 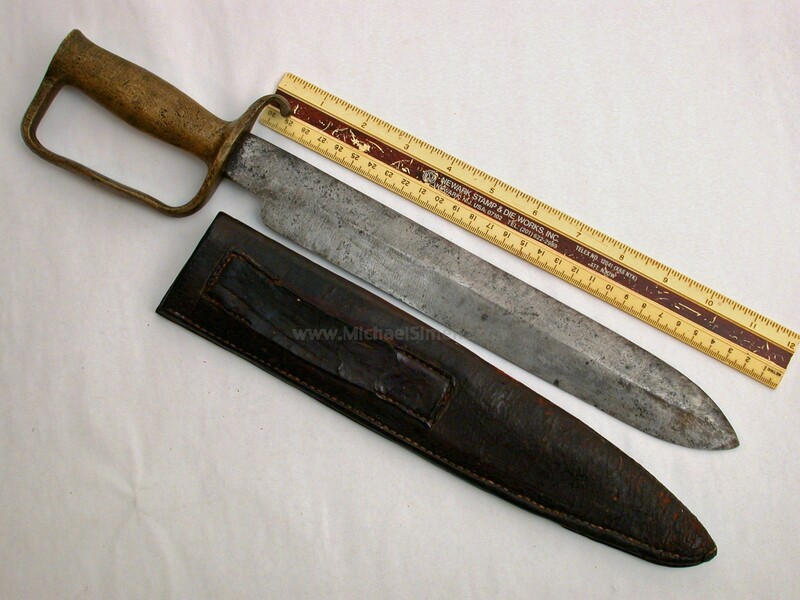 It has a hefty blade that's a foot long and its 14 & 1/2" over-all. The scabbard is original to the knife. Formerly in the well-known Union Drummer Boy Collection at Gettysburg.